Seacell fiber is a combination of a cellulose-based fibre, ground seaweed and silver. The addition of the seaweed gives the fibre increased antibacterial and fungicidal effects. 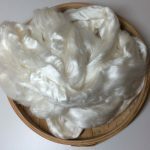 The Seacell fibre is very soft, luxurious and a delight to spin, much like spinning silk. The spun seacell yarn can be used as a single ply or plied with itself or another fibre. The single ply is also lovely when used as weft in handwoven fabrics. Seacell fiber can also be used in felting and paper making. 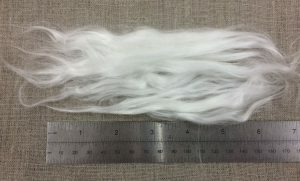 Seacell fiber can also be used for doll hair. 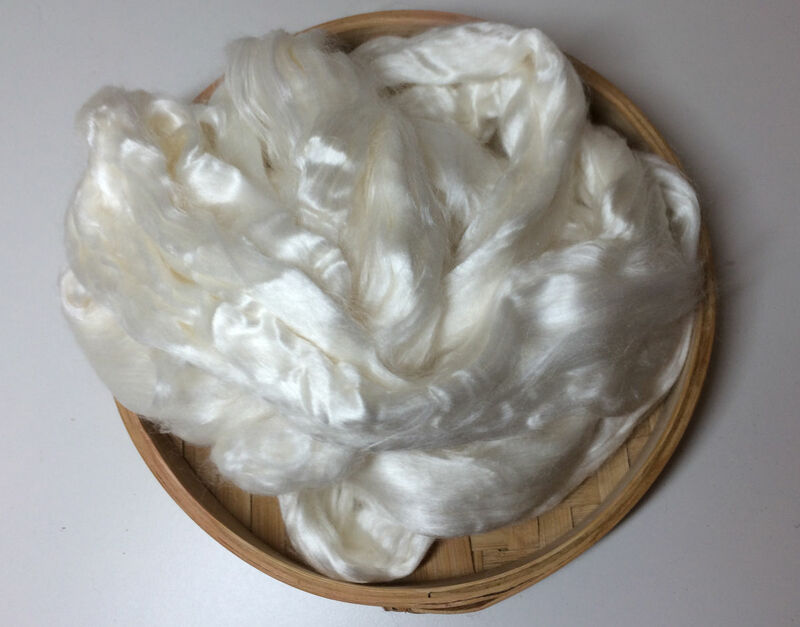 Seacell fibre or yarns can be dyed with natural plant dyes and mordants or other dyes suitable for cellulose fibres.